The University of Miami Sports Hall of Fame will hold its 4th Annual Celebrity Bowling Tournament, hosted by Clinton Portis, on Monday, February 23rd, from 6-9 p.m. at Splitsville in the Shops at Sunset Place in South Miami. Canes fans can bowl with some of their favorite former Canes all-stars in a relaxing evening of family fun, food and Hurricanes camaraderie. 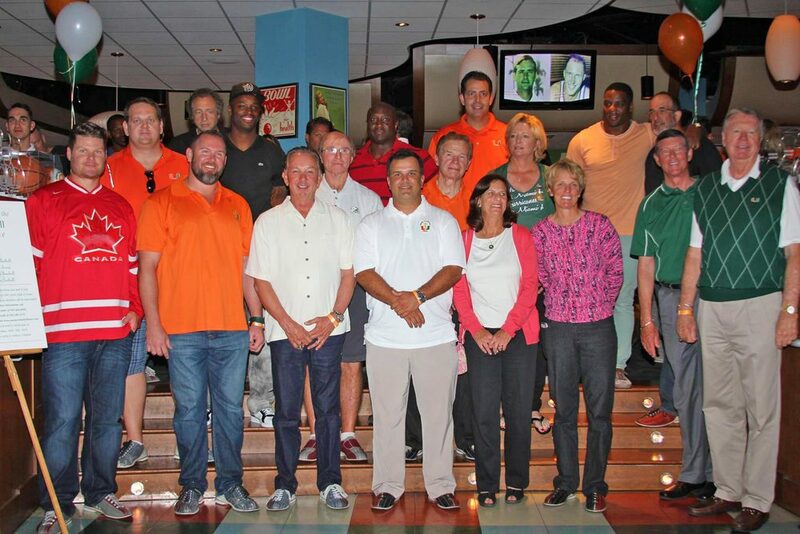 Last year, there were 18 Canes All-Stars on hand to bowl and raise money. This year, Hurricane football great and 2014 University of Miami Sports Hall of Fame inductee Clinton Portis will serve as host of the event. Other Hurricane greats who have attended past bowling tournaments include Reggie Wayne, Bubba Franks, Brett Romberg, KC Jones, Randal Hill and Darrin Smith. Proceeds from the event will benefit the Buoniconti Fund to Cure Paralysis, as well as the University of Miami Sports Hall of Fame.